Some of you may know that my husband, our son, and I started our low carb lifestyle in April. Since then, I have lost 20 lbs. It hasn't been too difficult because I do sneak in some carb when I really crave it. But also, I love the food! 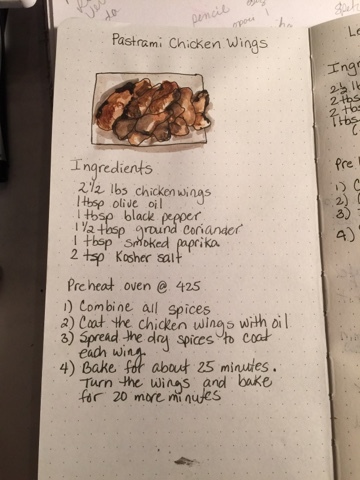 Most of the recipes I use come from Pinterest and I usually modify them to fit the ingredients we have or alter the taste a bit to accommodate our picky eaters. 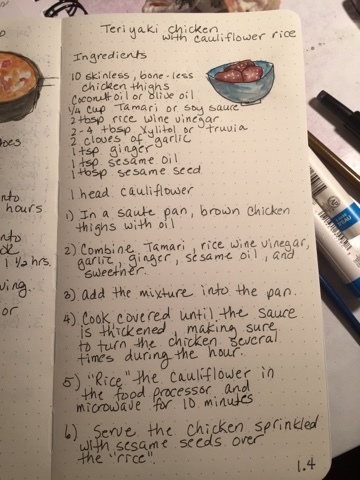 Even though having the recipes online seem convenient, it's always a hassle for me to pull up the recipe and when my phone turns off, sometimes I have to reload everything. 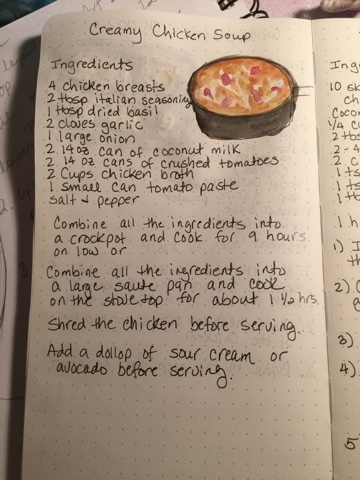 So, I decided to create my own low carb recipe book. I get to illustrate, my notebook has sections so it's easy to sort by meats and vegetables.. So here are some of my first entries... All chicken recipes.. 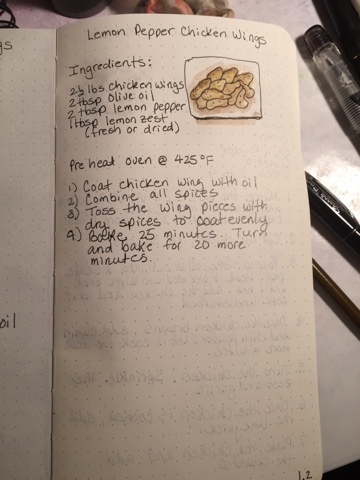 I'm really eager to add more to my book! I think it's going to be a fun project!